UMCOR’s relief supply network has 133,000 hygiene kits and 20,000 cleaning kits being deployed. Locally, Sterling UMC has mobilized an effort to help replenish UMCOR’s stores of cleaning kits. These kits provide people basic needs when disaster strikes. Disaster has struck in Texas and Louisiana and is likely to repeat very soon along the southeast coast of the United States. Hurricane Irma, which now ranks as one of the most powerful hurricanes ever, will likely impact Florida by the weekend. 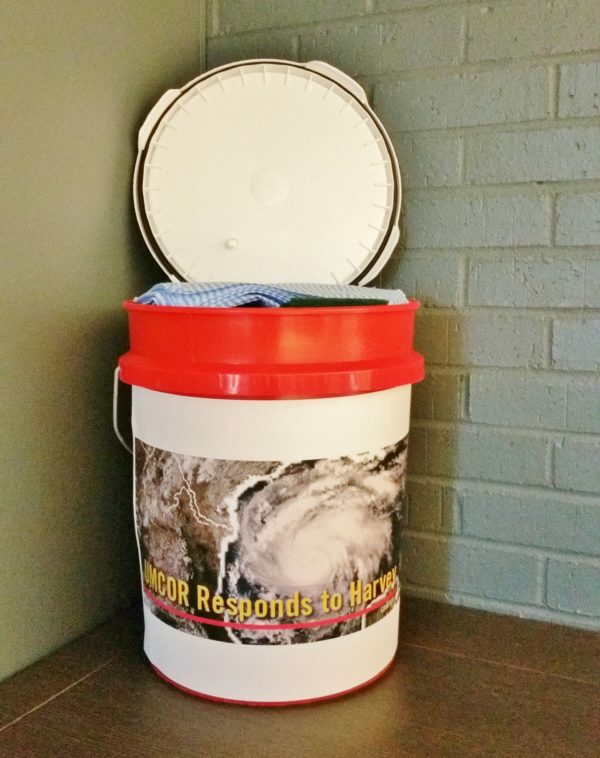 UMCOR needs donations to continue to provide the relief supplies needed now and in the future. Sterling UMC will be accepting donations of cleaning kit supplies until September 17 when the buckets will be assembled during their Growing Deeper at Ten hour (10 AM) at the church. If you would like to donate items for the cleaning kits a sign-up sheet is available. Items can be dropped at the lobby donation center in the church at 304 E. Church Rd., Sterling VA 20164. If you would like more information about assisting with packing the buckets on September 17 please contact our church office. If you would like more information about UMCOR visit their website.